In India, turmeric is an extremely popular, if rather bitter, herb. It’s very flavorful and is used in curry (ick! I really don’t like curry!) and many mustards. It has a pretty red color but it’s a lot more useful than just spicy food, although who doesn’t love flavorful food? The active ingredient that makes turmeric such a powerhouse is curcumin which is a bright yellow plant compound which has powerful antioxidant and anti-inflammatory properties. ❁ Inflammation is involved in almost every human disease and patients usually take NSAIDs (non-steroidal anti-inflammatory drugs). 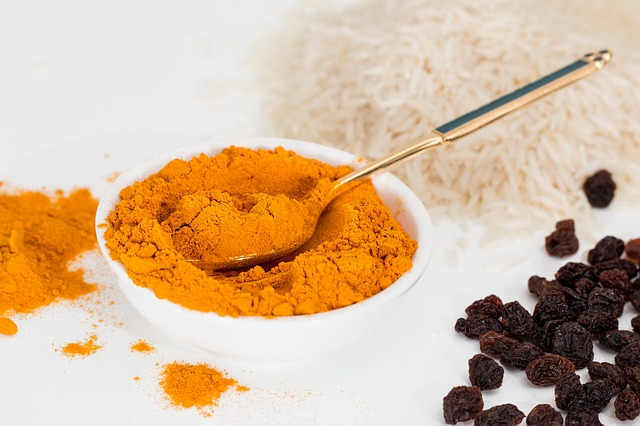 Two of the most common – and least effective are aspirin and ibuprofen while curcumin is among the most effective in the world. ❁ According to Nancy Lonsdorf MD, author of The Ageless Woman, it improves the pancreas’ ability to make insulin when sugar levels creep up and thus reducing the chances of full-blown diabetes. According to Dr. Lonsdorf, the study- proven dose is 1 teaspoon daily. ❁ As mentioned above, it’s a go-to herb for any kind of blood sugar problem. ❁ Curcumin slows carbohydrate absorption after heavy meals which suggests some interesting possibilities for weight loss. ❁ Scientists and health researchers talk endlessly about the negative effects of free radicals, which damage the body and promote aging, which none of us want. At all. Turmeric to the rescue because it apparently has a double punch for these nasty little things. First, it protects your body by knocking out free radicals because of the particular chemical nature of turmeric itself (https://www.ncbi.nlm.nih.gov/pubmed/17569207). Secondly, it boosts your body’s natural defenses against antioxidants because we have natural antioxidant enzymes. As we age, these enzymes decline in power and turmeric gives them a boost, restoring their robust defense capacity. ❁ Science used to believe that when we’re born we receive a supply of brain neurons … and that was that. They couldn’t increase in number or form new connections so our brain capacity and health declined over the years. We now know that’s nonsense. We greatly need brain-derived neurotrophic factor (BDNF) which protects against such miseries as depression and possibly even Alzheimers, one of the most dreaded diseases for humanity. ❁ Side effects like the kinds you get with powerful drugs? Not with turmeric which has very few known side effects, and the ones that exist are incredibly rare and generally mild. That’s a lot of benefits from a simple herb! This is a pretty persuasive argument for using turmeric in your kitchen or even taking turmeric supplements. Health-wise turmeric rocks.